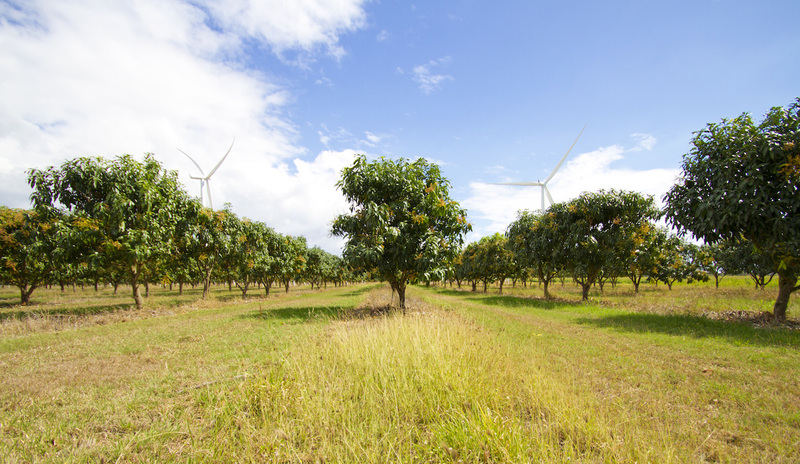 Our Products | GO MANGO! 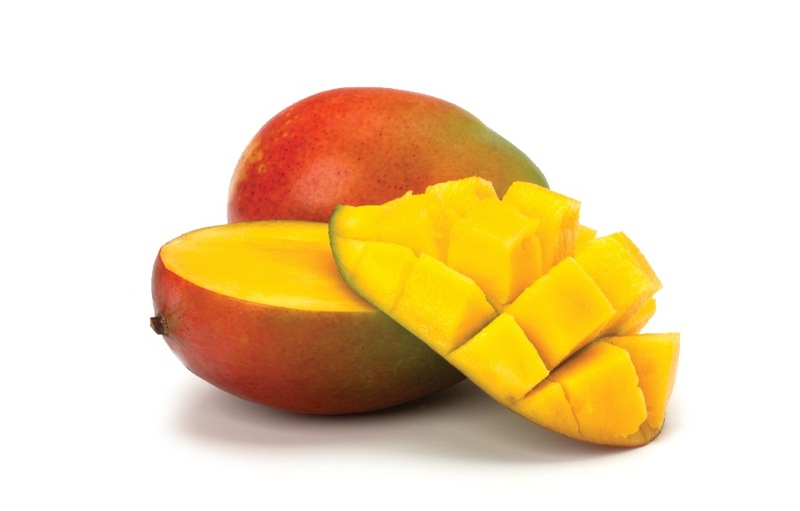 Mango has become an increasingly popular fruit around the world, and in addition to its delicious tropical flavor, it is an amazing source of vitamins and nutrients. 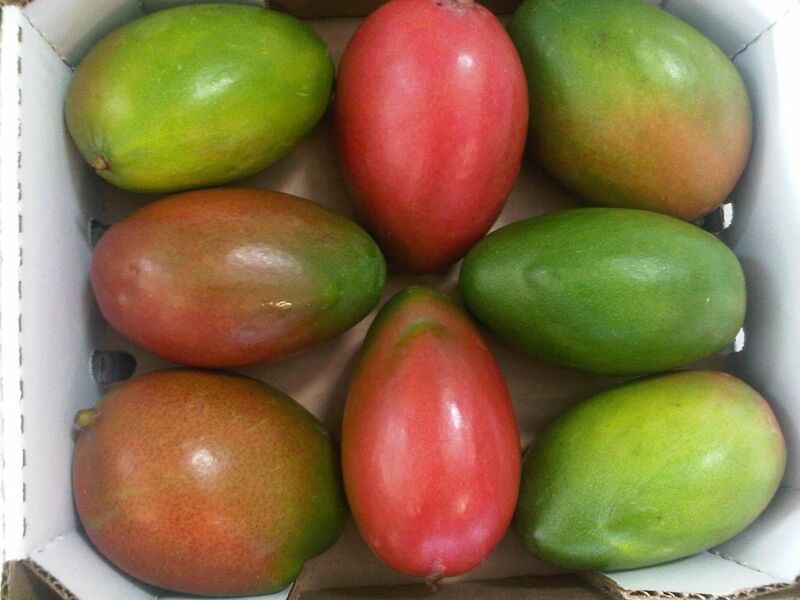 GO MANGO produces a consistent yield of Keitt (88%) and Tommy Atkins (12%) varieties. 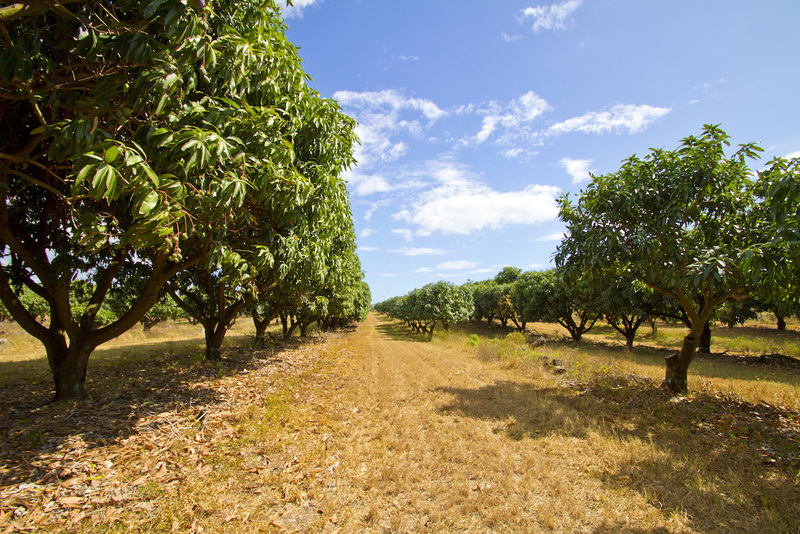 65% of GO MANGOʼs total yield is cultivated on young, 15 year-old orchards. 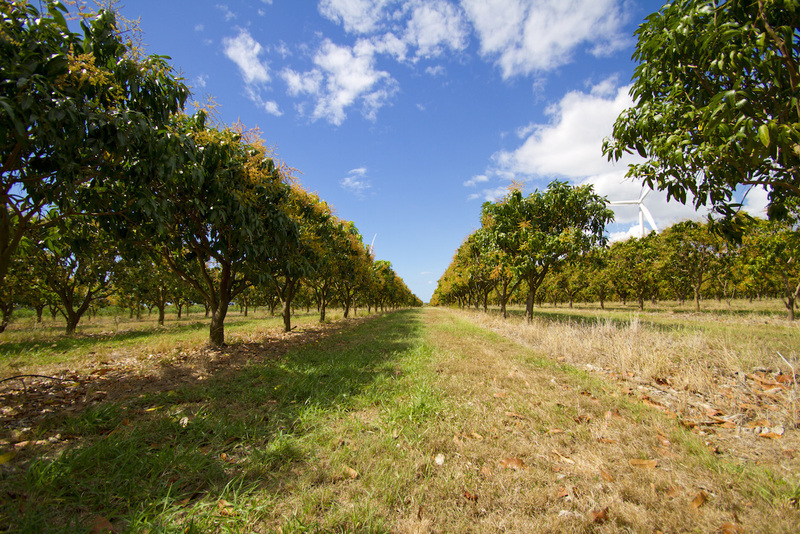 The remaining 35% is cultivated on established, 30 year-old orchards. They produce ‘first class’ and ‘second class’ quality rated fruit. 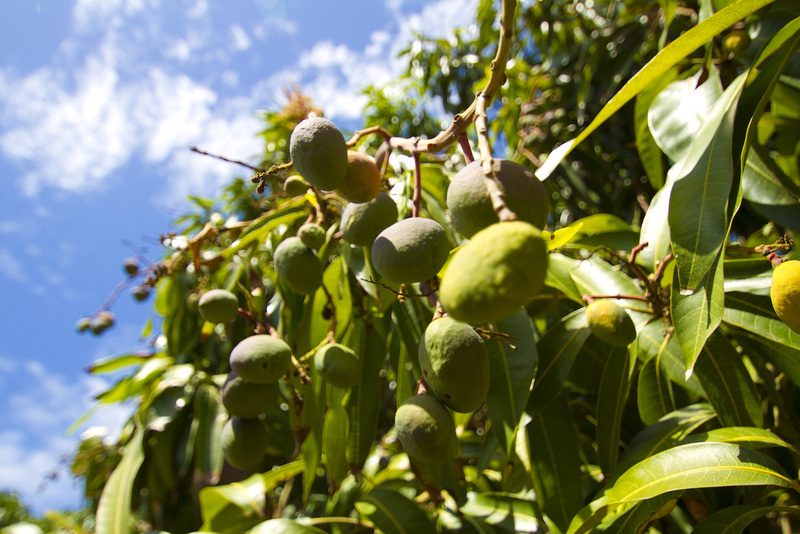 Compared to other varieties, Keitt Mangos are large, with some fruits growing up to several pounds in weight. The skin color is typically green with some light red blush. 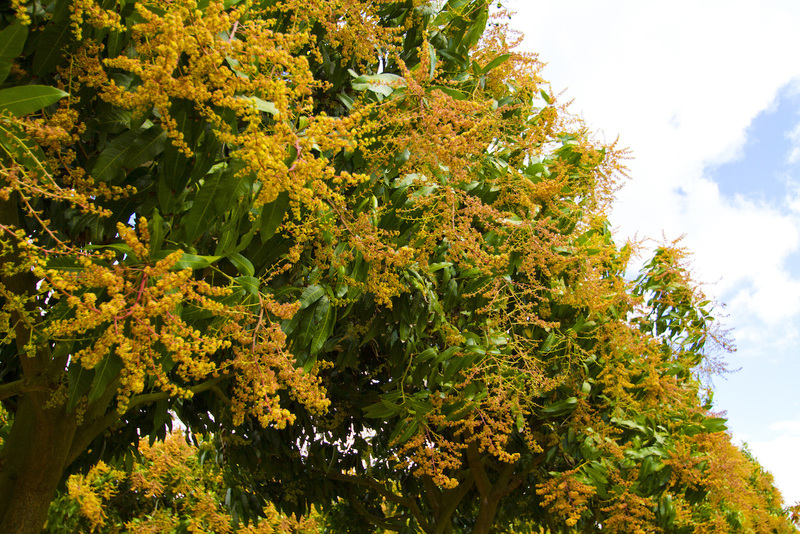 The flesh of Keitt mangos is fiberless, tangy and very sweet. 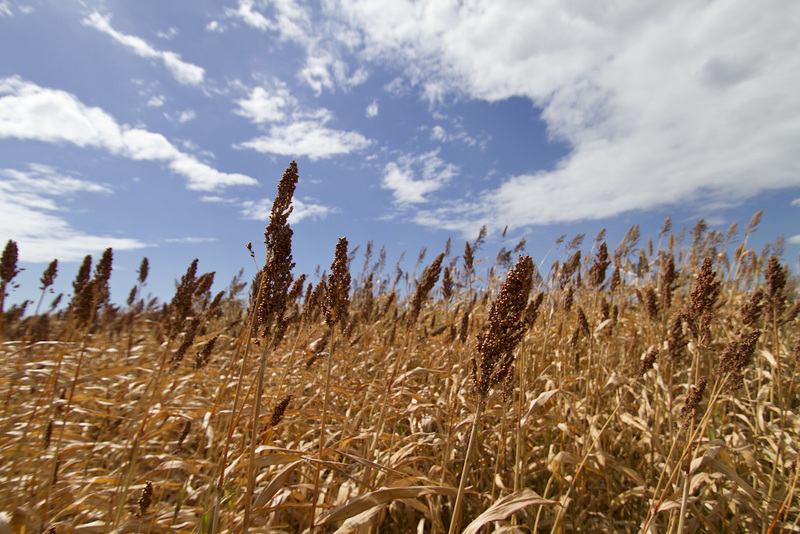 This variety generally has good disease resistance, and typically ripens from August until October. Keitts can be eaten fresh or utilized fresh in salads, cooked in vegetable or poultry dishes, and are exceptional to simply be eaten out of hand. Although generally not as sweet and more fibrous than the Keitt, the Tommy Atkins variety is valued for its very long shelf life and heartiness, tolerating transport with little or no bruising or degradation of quality. 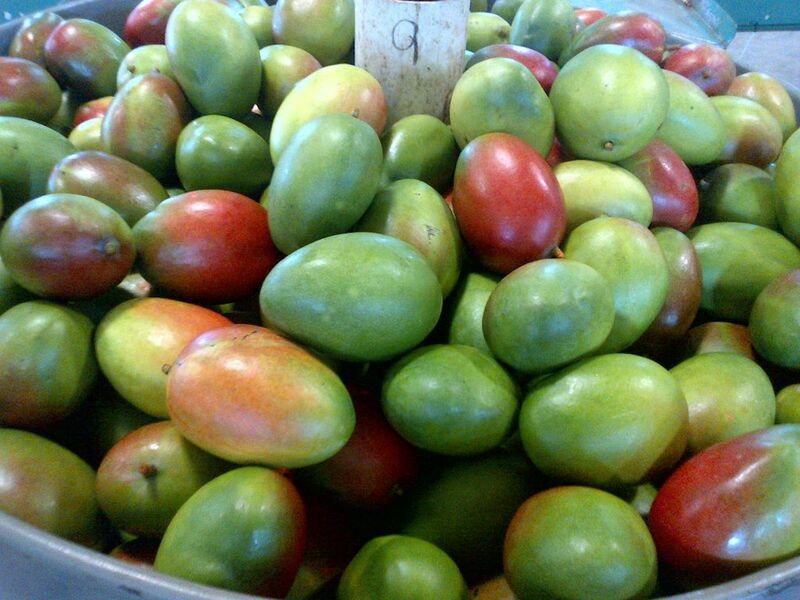 The fruit is available year-round, and is the prime choice for processed food applications, such as sauces, desserts and juice blends. 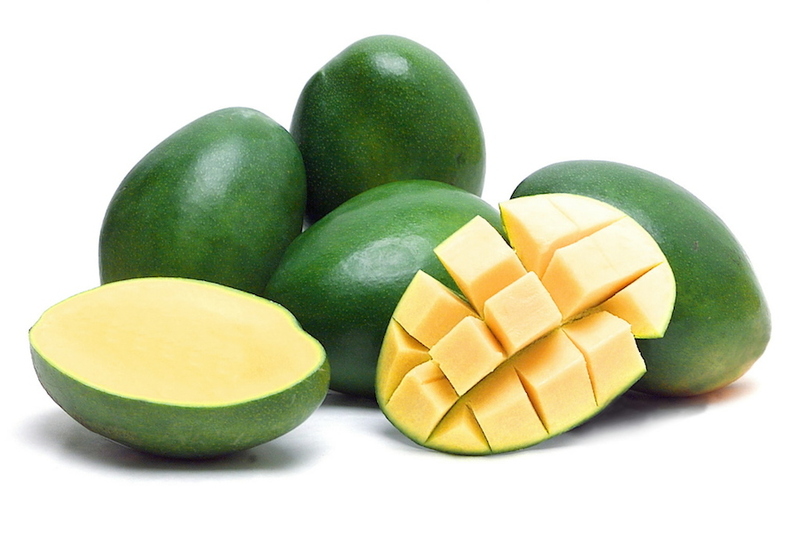 GO MANGO’s high-quality Tommy Atkins product is perfectly suitable for these uses, as well as to be eaten fresh.